View our video of Good Morning America's Weekend Window to Santa Fe & "Today Show" in Melbourne, Australia featuring Historic Walks of Santa Fe. For information about our popular Downtown Daily Tours, as featured on Good Morning America, please click here. Historic Walks of Santa Fe provides expert customized destination planning for an array of groups, including major corporations and universities, worldwide travel companies for select groups, wedding and reunion parties and private groups. With so many things to do in Santa Fe, Historic Walks ensures that visitors experience the very best of the city's attractions. Led by professional guides/art historians, museum docents and seasoned actors recreating the past, our unique tours showcase Santa Fe's rich history and exciting contemporary scene. 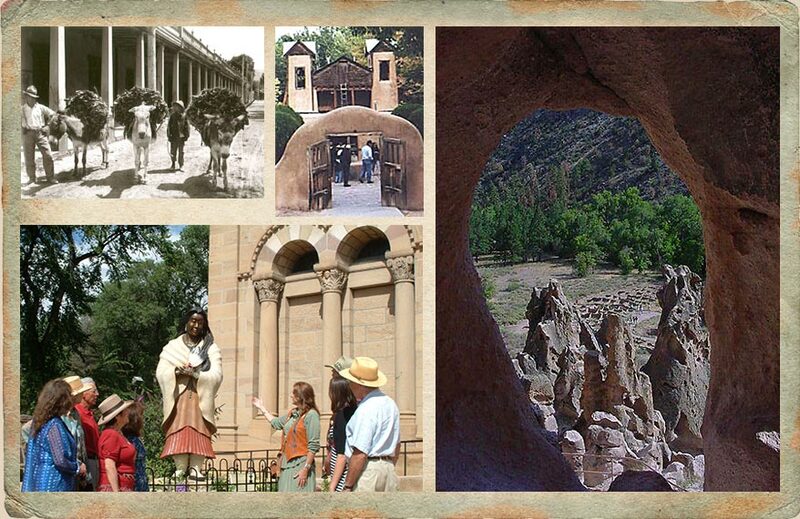 Our staff will plan and design exclusive tours into Northern New Mexico for Taos, Chimayo, Bandelier & The Eight Northern Pueblos for larger corporate and private groups and schedule a professional "Step-On Guide" for smaller groups & individuals with transportation to these unique destinations! 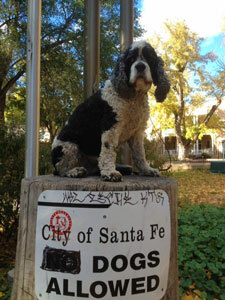 His name is Andy (HWSF'S Mascot) and the reason that our company is "Pet Friendly"! Our company & "Andy" are also featured in National Geographic's "Dog Lover's Guide to Travel".